Solano's first courthouse, in Benicia, was used as the State Capitol in 1853 and 1854 before the Legislature moved to Sacramento. Four years later, the county government left Benicia for Fairfield, where a new courthouse was built in 1860. The building and its additions served the county until 1911, when an overcrowded jail and offices forced construction of a new building. A classical, granite courthouse was built on the same site. 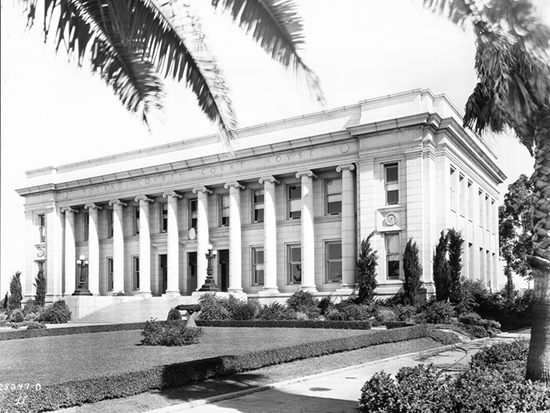 In 1970, the county converted a high school into a new Hall of Justice and the courts vacated the old building, which is still in use as county offices.